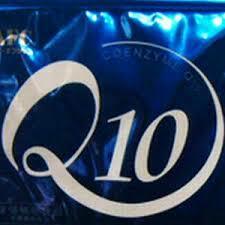 CoQ10 is present in high concentrations in your heart, brain and all your major organs. You may perhaps already know that CoQ10 helps to generate much needed energy. But its levels start dropping at the age of 20 and are reported to be lowest in stroke and heart attack victims. In addition to supplying energy, CoQ10 is a powerful antioxidant. The “slow burn” we use for fuel damages tissues like fire burns everything it contacts. The action of CoQ10’s antioxidant power puts out this fire and protects your organs and tissues from damage. Aside from giving your heart and brain the extra fuel it needs to keep working, it preserves them and keeps them in working order for much longer. 1 Hodgson JM, Watts GF, Playford DA, Burke V, Croft KD. Coenzyme Q10 improves blood pressure and glycaemic control in a controlled trial in subjects with type 2 diabetes. Eur J Clin Nutr. 2002 Nov;56(11):1137-42. 2 Blasi MA, Bovina C, Carella G, et al. Does coenzyme Q10 play a role in opposing oxidative stress in patients with age-related macular degeneration? Opthalmologica. 2001 Jan-Feb;215(1):51-4. 3 Ye CQ, Folkers K, Tamagawa H, Pfeiffer C. A modified determination of coenzyme Q10 in human blood and CoQ10 blood levels in diverse patients with allergies. Biofactors. 1988 Dec;1(4):303-6. 4 Horowitz S. Coenzyme Q10: one antioxidant, many promising implications. Altern Comp Therapies. 2003 Jun:111-6. 5 Rozen TD, Oshinksy ML, Gebeline CA, et al. Open label trial of coenzyme Q10 as a migraine preventive. Cephalgia. 2002 Mar;22(2):137-41. Excerpted from Totalhealthbreakthrough.com, an online Newsletter, 28 March 2009. Please note this is only for general information; it should not be deemed as medical advice, for which you must consult with your physician.